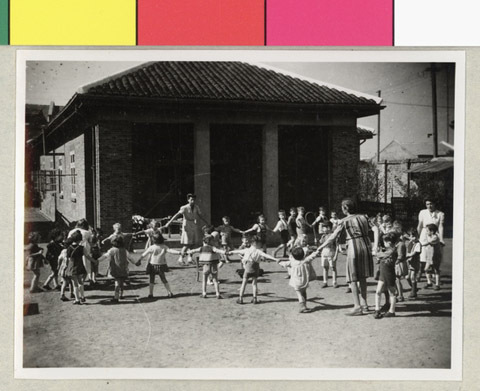 JDC - Archives : Children playing in the nursery for 69 children on Tongshan Road. Title Children playing in the nursery for 69 children on Tongshan Road. Description Children playing with their caretakers in the nursery for 69 children on Tongshan Road.